There is still no information on whether the 2018 Ford EcoSport Storm will make its way to the United States. However, other countries are already enjoying this trim level. The Storm is designed to tackle off-road adventures and has clear inspiration from the Ford F-150 Raptor. The EcoSport Storm is certainly not as tough or capable as the Raptor. Yet it does an excellent job given its size and body style, thanks to some help from all-wheel drive and other features. 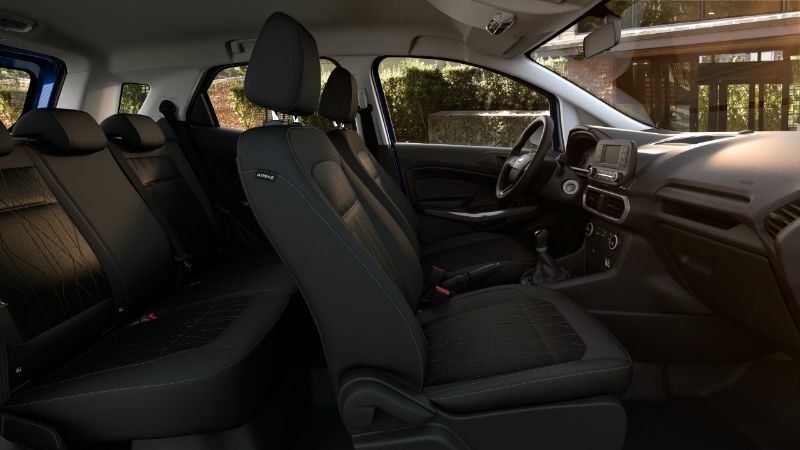 The 2018 Ford EcoSport Storm’s interior styling is like that of the EcoSport Titanium. However, it features a black-finish interior trim and brass appliques for the doors, console, and dashboard. The leather seats have an inscription reading “Storm,” as well. The exterior has a new grille with the “Storm” logo featured in bold letters. The fenders have plastic cladding while the liftgate gets a spare-tire-carrier cover and another “Storm” badge. You also get black cladding on the exterior to match the interior, including black roof rails along with a sunroof. The wheels on the EcoSport Storm are 17 inches and have their own unique design. Keep in mind that the tires are designed for on-roading. So, they will require swapping before going off-road. 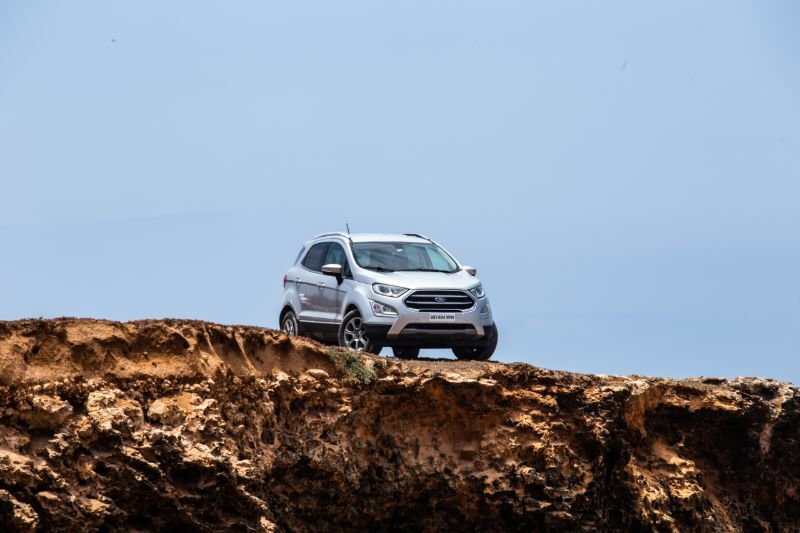 According to Ford, the 2018 EcoSport Storm has more ground clearance than other EcoSport models, although it hasn’t specified the difference. We do know that the front suspension has an extra 17 millimeters (0.7 inches) of travel to help reduce impacts. The rear has a new independent multilink suspension and progressive-rate springs. The bushings, dampers, and springs are unique to the Storm. The changes to the suspension have led to a 15-percent enhancement in shock absorbance and a reduction of 40 percent in steering wheel vibrations. 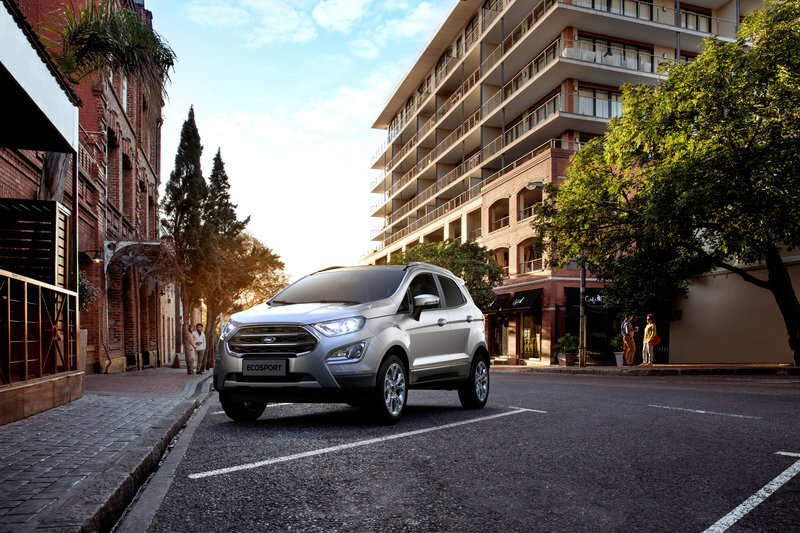 The EcoSport also features all-wheel drive that is fully automatic. It relies on sensors to determine where to send torque, which it can do within 0.1 seconds. The Ford EcoSport Storm has the same engine and transmission as the EcoSport Titanium. The 2-liter 4-cylinder engine gets 176 horsepower and 163 pound-feet of torque and features direct injection. It works with a 6-speed automatic transmission. The Storm does weigh 243 pounds more than the Titanium, reaching 3,239 pounds. Because of this weight, the Storm feels mildly reluctant to gain speed. That is made up for by the improved handling and versatility. The automatic all-wheel-drive system and multilink rear suspension deliver more accurate turns, particularly in the rain. 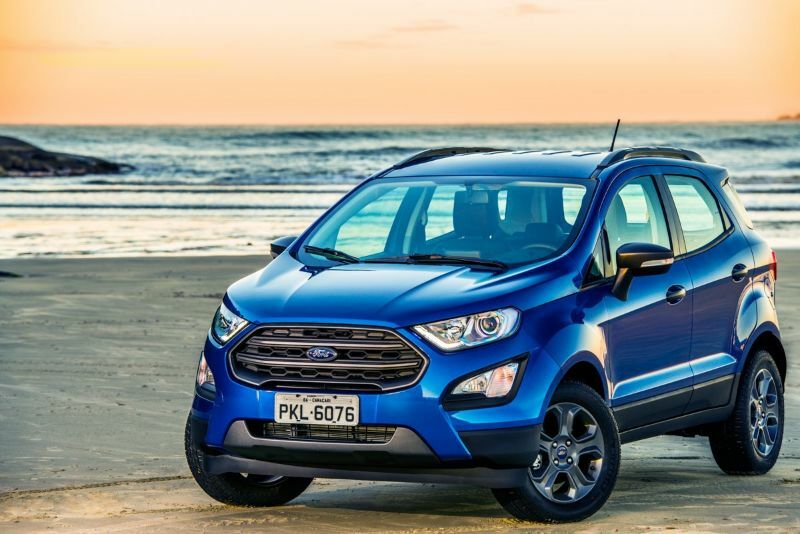 The features found on the 2018 Ford EcoSport Storm are almost identical to those of the EcoSport Titanium, which is the highest trim level. This means you get an 8-inch touchscreen that works with SYNC 3, Android Auto, and Apply CarPlay. You also get navigation, height adjustment for the driver’s seat, a multi-function and adjustable steering wheel, and automatic headlights. The EcoSport Storm also has seven airbags, hill-assist, an anti-rollover system, ABS featuring EBD, traction control, stability control, a reverse camera, and parking assist.